Formed in the early 1970's, through 4 decades of adversity and triumph, "Pentagram" has become a legendary international act and has firmly stamped their name in the heavy metal history books, with tours planned throughout North America and Europe during 2015 promoting their latest album of electrifying heavy metal, "Curious Volume", which was released August 28th 2015 on Peaceville. Although always a cult act with a strong and dedicated worldwide fanbase, Pentagram had enjoyed a recent surge in interest due in part to the fly-on-the-wall 2011 documentary, "Last Days Here". 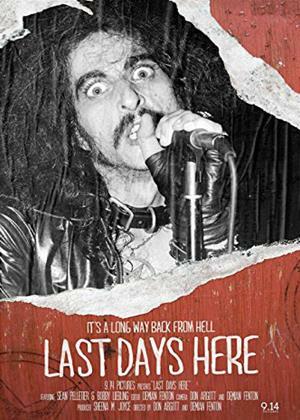 The documentary follows the life, trials and tribulations of Bobby Liebling, giving an insight into the turmoil of a troubled rock personality across this feature-length production.